Such wonderful news, folks! The Toymaker's Apprentice is the winner of the SCIBA Award for Middle Grade! Anyway.... This past Saturday morning, a group of early-rising independent bookstore owners, staff and other book lovers came together at the start of the Southern California Independent Booksellers Association fall conference for two reasons: books and bacon! After a scrumptious breakfast of bruleed french toast, eggs, and the aforementioned bacon (I am writing this detail because I am apparently hungry), recent President Maureen Palacios-- proprietor of the amazing Once Upon A Time Bookstore where we launched Toymaker last October-- handed the podium over the hilarious Jon Scieszka who delighted the crowd with his giant wrestling championship belt (you had to be there) and his latest creation, Frank Einstein. Jon was followed by the delightful David Shannon who shared the story behind his long (11 years long!) 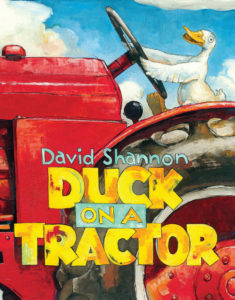 awaited sequel to Duck on a Truck. The delightful Jewell Parker Rhodes promised not to make anyone cry... and then made everyone cry with her heartfelt story about books and how they gave her a life she could have never imagined. She shared some of the moving images of her new book about fifth graders learning about 9/11. What an amazing, thoughtful, thought-provoking woman! Toymaker was announced as a finalist in the Middle Grade category along with the wonderful Holly Goldberg Sloan's Appleblossom the Possum and D.J. MacHale's The Curse of the Boggin. Folks, I just about fell out of my chair when Jon said my name. Seriously. 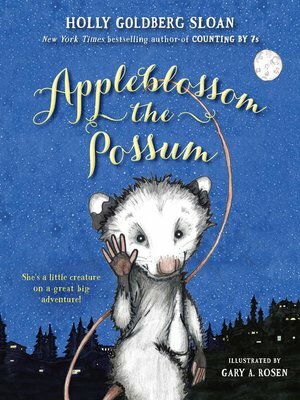 Appleblossom is the cutest read ever, especially if you love books like Charlotte's Web (AND I DO!) and Curse of the Boggin is a classic MacHale romp. Both are on my to-give list for Christmas (and should be on yours, too!). Which is to say, I was beside myself. I was sharing a table with Holly, who smiled and had to sort of flap her hands to urge me to go up and accept the award. Late the night before, I had typed up a list of people to thank on the off chance I won, so I would remember everyone. Everyone, I remembered you! What I did NOT remember was to bring the sheet up to the podium with me. Fortunately, words did come out of my mouth (and tears out of my eyes) and I am told I spoke comprehensibly. Jon handed me a green giftwrapped box about 8.5 x 11 x 2 inches, and I asked if it was a ream of paper for my next book. Because that would have been cool and I am easy to please . Turns out, what was inside was even cooler! THANK YOU SCIBA! THANK YOU BOOKSELLERS! THANK YOU ONE AND ALL!